Wood burners are great, aren’t they? At least that’s the image most of us would have and it’s probably one the salesman would play on back in the UK where we already have central heating anyway. The thing is, in Turkey, most homes don’t have such luxuries. After all, it’s mostly blazing hot so why would you need to spend a fortune having a boiler and radiators installed, right? Temperatures here this week have been below freezing more than once and, even when they haven’t, the sun has often been conspicuous by its absence. That means the log burner isn’t a luxury or an indulgence. It’s the most efficient and cheapest source of heat – but it also needs feeding. That means, as the summer season finishes in Kayaköy, the locals disappear into the woods with chainsaws. At first, I quite liked the idea of self-sufficiency. We already had a huge pile of wood in the orchard so, rather romantically thinking of myself as Pa in Little House on The Prairie, I was looking forward to wielding a newly-acquired axe to cut it all to size. I reasoned that as long as I used dry days to wander down to the wood pile and chop enough for three or four nights, we’d be fine. There would be more than enough to last us through the worst of the winter. It turns out I was wrong about that too. I had no idea that a wood burner could have such a voracious appetite. Even before Christmas our stock was almost gone and I was wishing I’d used the warmer, drier weather in early October to head for the woods with everyone else. With no chainsaw of our own, we had to call in help. “Yes. I fetch for you. How much you want?” asked our ever-helpful neighbour, Mehmet. “Oh, I don’t know … As much as you can carry I suppose,” I replied, thinking he must know someone with a tractor and trailer. Just two days later, I heard the toot of Mehmet’s scooter and, incredulously, watched him wobble down the drive with the first load of branches and small logs balanced between the fairing and seat. “Er… thanks Mehmet, but I think I’ll be needing more than that,” I said, trying not to sound ungrateful. “Yes, yes. I have more cut in woods. I bring it,” he said cheerily, disappearing after the few minutes it took to unload. He was as good as his word too – even though he had to resort to the family car when the abused scooter’s drive shaft expired under the fourth load. Still, the replenished wood pile looked much healthier and I had no reason to doubt Mehmet’s assurance there would be enough to last a couple of months. Just a fortnight later with the weather becoming increasingly hostile, we were getting dangerously close to the bottom of the pile again and I had to accept we were going to have to request a bulk delivery. Reluctant to ask Mehmet to sacrifice another vehicle in the woods, we made the trip to Saffet’s place in nearby Hisarönu – a shop which not only seems to stock stuff impossible to find anywhere else but in numerous colours too. “No, that’s okay. Just get the guy to dump it on the drive. I’ll shift it under cover myself,” I said, still clinging to the Little House On The Prairie dream. 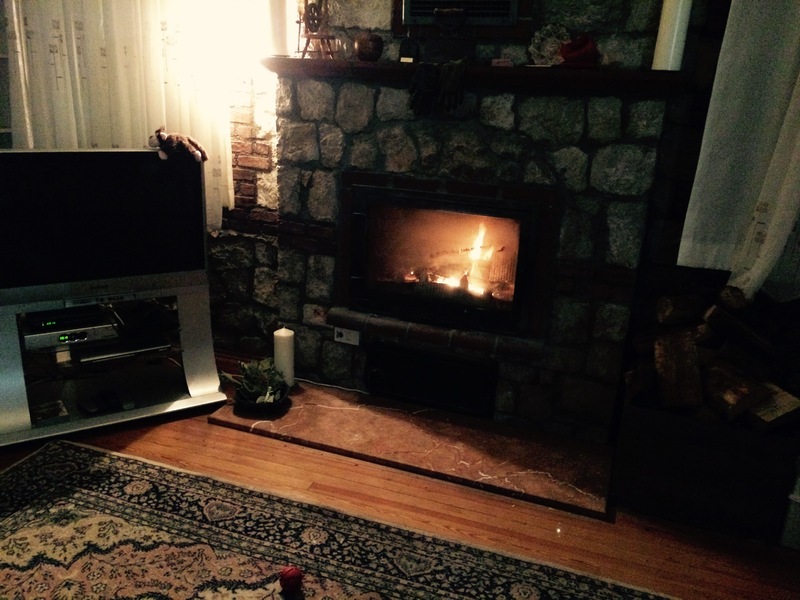 Like I say, wood burners are great, aren’t they …? You can’t beat a decent log fire … or can you? 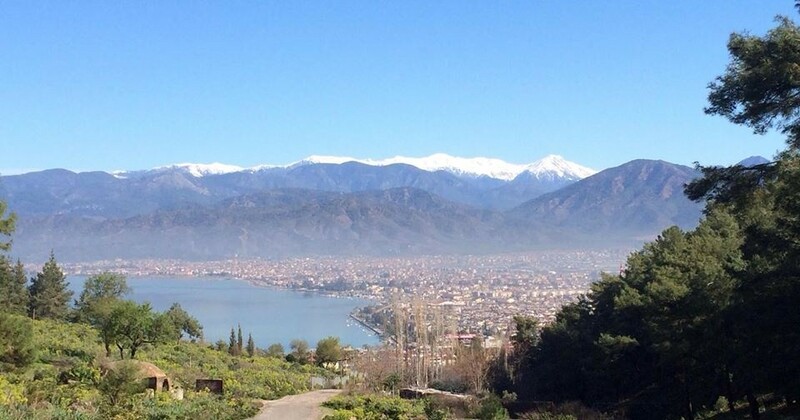 This entry was posted in General, Life challenges and tagged chopping logs, Fethiye, Kayaköy, keeping warm in winter, life in Turkey, Liitle House On The Prairie, living in Turkey, winter fuel, wood burner, wood for the fire on January 13, 2015 by theparsleys. We have just had the ‘how much bloody wood does it get through’ conversation earlier today. We are going to have to move some of our newly delivered pile under cover tomorrow as the dry wood is going fast. The wood from Saffet seems to give off more heat though than the eucalyptus we had before. Roll on Spring! Only used half a dozen logs last night, which suggests, whatever stuff this is, it’s better suited to wood burners. Have to be careful not to become a wood burner bore though… I can now speak with some authority on the benefits of appropriate venting but I doubt it’s dinner party material. I watched in horror as my brother in law delivered truck load after truck load of wood. “You aren’t going to need this!” I cried as he piled it up in our garden. Between 3 families the 6 truckloads dwindled away quite quickly. Luckily he works for the belediye so we have a never ending supply. I don’t mind now that he stockpiles at ours. It gets to a point where anything that can burn is gonna burn lol!